I am Polish — 50 percent, in fact. I was spoiled as a kid with authentic Kielbasa and Pierogi, Golumpki and Kruschiki, whether it was made in house or fresh from the polish deli just down the street. I know I am not the only one. In fact, most of us probably have at least one ethnic dish from our childhood that still speaks to us today. Each week, I am going to seek out that food across the country so when you are in the mood for a trip, or just happen to be stuck at a conference somewhere, you can get that little piece of home. So this week, I thought it would be perfect to start by seeking out my heritage of happiness: the Cuisine of Poland. No one thinks of New York City when they think of Polish population; they think Chicago, Pittsburgh, Milwaukee, and Cleveland. Believe it or not, the biggest population of Polish natives in the U.S. is in NYC but the percentage of population is a mere 2.7 percent. Compare that to Cleveland’s 4.8 percent, Chicago’s 7.3 percent, Pittsburgh’s 8.4 percent and Milwaukee’s 9.6 percent. Now I could count in every little town like Posen, Michigan that has 61.3 percent Polish Population, but I need to be able to pilgrimage to a place that I can actually get to. So let’s seek out the best Polish food in those five metropolitan areas. Ok, Big Apple, youz gotz the biggest population of Polish people; how about Pierogi? Well, the truth is that they do have a decent selection of Polish eateries in the City. Neptune in the East Village is affordable and the menu is widely diverse (good if you are the only one in the group who can pronounce Golumpki). All of the usual suspects are here: Pierogi, Kielbasa, Stuffed Cabbage, Potato Pancakes and Borscht. The Stage Restaurant has been serving up pierogi and kielbasa for two dozen years and the locals swear by this hole in the wall. It has a Jewish / Ukrainian tilt to the menu which only makes it that much better. Polish cuisine has tendency to be “old world” food, so a lot of times, you will see the older generations close up shop to retire and there is no one left to take over. This was the case with Babushka’s Kitchen, which after being voted in the top five Polish Restaurants in Cleveland, shuttered its doors. Sokolowski's University Inn on the other hand, has been going strong since 1923 and shows no sign of stopping. They have been visited by Anthony Bourdain, Michael Symon and about 150 people a day all in line for Pierogi. The home of the Blues Brothers and Mike Ditka holds up their end of the Polish cuisine. 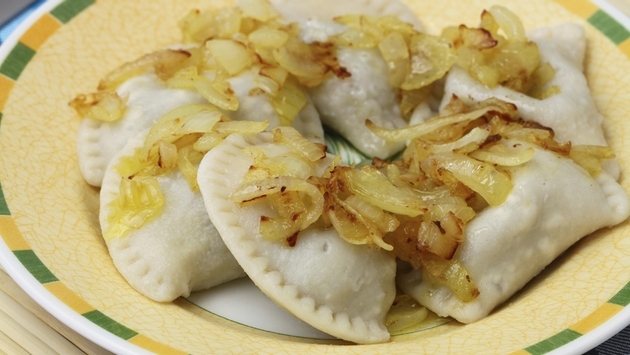 There is no shortage of places to get a pierogi or two. Located in Logan Square, Staropolska Restaurant serves up Herring in Sour Cream, Potato Pancakes, Kielbasa and six different types of Pierogi. They bill themselves as Polish / American so there is something for everyone. I have to mention Pierogi Heaven, because well, it’s called Pierogi Heaven! They have two locations and offer up 14 types of Pierogi. They also do Borscht, Stuffed Cabbage and Kielbasa. Don’t forget about Kasia’s Deli. They sell enough Pierogi that they do a Pierogi eating contest every year. The beauty of this place is that they make enough to wholesale them out so if you have a Costco or Fresh Market near you, they are probably in the frozen case. These will put away Mrs. T’s. I have never been a fan of Pittsburgh, and apart from a one-time fly through the place, I have never stopped there. The older I get and more I get over letting a football team keep me from my heritage, there might have to be a trip made here soon. In 1991, Pierogies Plus opened in McKees Rocks Suburb of Pittsburgh. Helen Mannarino and her team serve up six standard types of Pierogies, has another 30 available for special order, as well as cabbage, kielbasa, and assorted sides and desserts. S & D Polish Deli was voted the Best Polish Deli in Pittsburgh and with good reason. They offer a great daily eat-in menu with platters or a la carte items, feature a full deli with dairy, pantry, meat and sweet items, and have over 1000 items available for order online. Sounds yummy to me. Last but not least by any stretch of the imagination is the wonderful City of Milwaukee. I know that there is not as high a chance that you should happen to find yourself in the Home of Pabst, Schlitz, Miller, Blatz, but if you do, here is where you need to go. All this talk about Pierogi has made me hungry. I will tell you in the Atlanta area, there aren’t a lot of places to get fresh pierogi, but I do go to the Touch of Europe Polish Sore and Deli in Suwannee and buy them out of Kielbasa and Golumpki once a month, which is what is in the microwave heating up right now! I know there are a bunch of cities and towns across the country and around the world that have traditional Polish fare down pat. Where is your favorite? Let me know below!